Sooner or later, you will need to replace your car’s engine drive belts and coolant hoses. A malfunction of these inexpensive (but very critical) parts can have costly consequences. To prevent such a breakdown, you should stop by your local Seeburg Service Center so that one of our experienced auto technicians can inspect your belts and hoses, ensure that they’re in good condition, and help you avoid extensive damage and expensive repairs. 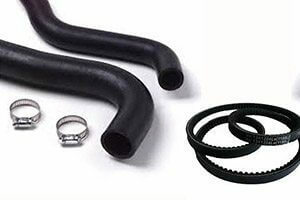 Over time, your vehicle’s engine drive belts and coolant hoses will dry out, crack, and weaken. They lose their ability to expand and contract, which means they may snap off under pressure. They can also come loose due to the continual vibration. Replacing these parts is a quick and inexpensive process, so there’s no reason to avoid it. Running your car on old and unreliable belts and hoses could lead to a catastrophic failure; in fact, it could even destroy your engine. 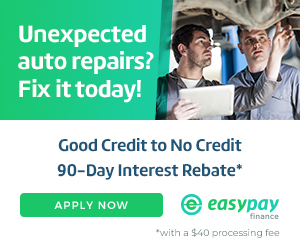 Simple maintenance now can prevent a costly and stressful repair later—it’s a no-brainer! To learn more about the maintenance required for the upkeep of your vehicle’s belts and hoses, check the owner’s manual for recommendations from the manufacturer. Your vehicle’s belts and hoses play a crucial role within the engine. The timing belt connects the engine’s crankshaft and camshaft(s), ensuring that they rotate together. Some engines don’t have a timing belt and use a timing gear or chain instead. The serpentine belt fits onto the accessory drive pulleys, and most modern cars have one (some even have two). If one of these belts breaks or becomes loose, the engine may fail to run and significant internal damage can occur. Hoses carry a variety of liquids within a vehicle including fuel, coolant, and transmission fluid. They can also carry gasses, like refrigerant within the cooling system. When a hose leaks or bursts, its contents will escape and likely cause damage. For example, if a coolant hose leaks, it can cause severe engine damage. Are your car’s belts and hoses due for an inspection or a replacement? Stop by one of Seeburg Service Center’s four locally owned businesses, which operate in Springfield (MO), Fayetteville (AR), Springdale (AR), and Rogers (AR). Our ASE-certified mechanics can perform a variety of vehicle maintenance services and repairs, including the inspection and replacement of drive belts and coolant hoses. To get started, just give us a call or schedule a service appointment online.